Us Star Trek fans have been hoping that one day we’d live in a hi-tech world of cloaking devices, transporters, and holodecks. Cloaking devices and transporters might be a long ways off, but it seems the good people at IBM might be well on their way to creating a holodeck. For you non-Trekkies, a holodeck is an enclosed room, where participants are totally immersed in different virtual reality environments. 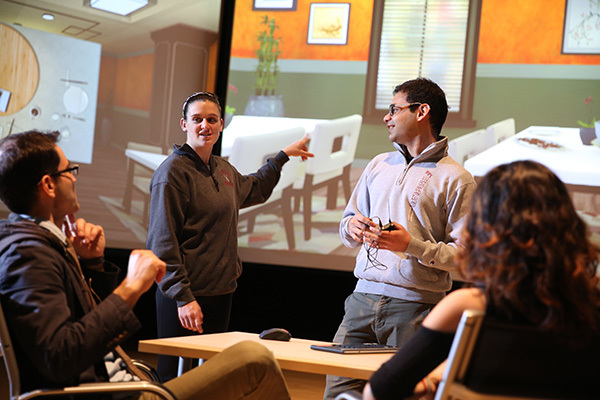 Partnered with the Rensselaer Polytechnic Institute, they’ve created the Cognitive Immersive Room, which is an all-immersive holodeck style classroom. The room’s 360-degree panoramic display and AI-powered chatbot completely absorb students into a virtual world. 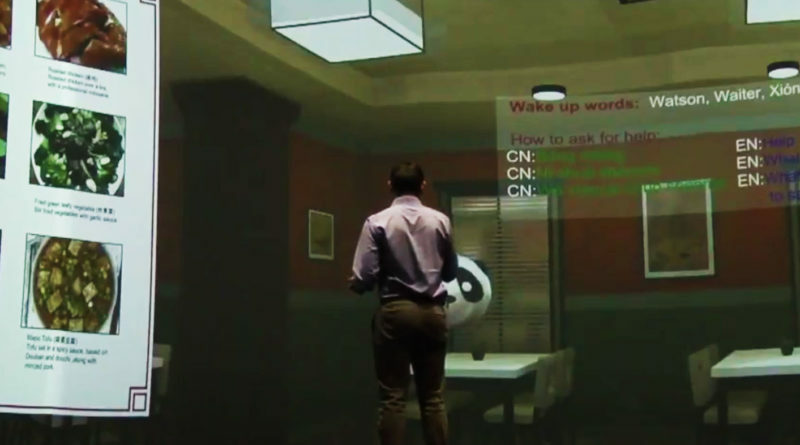 Currently, IBM’s Cognitive Immersive Room is transporting students to places in China to help teach them Mandarin. 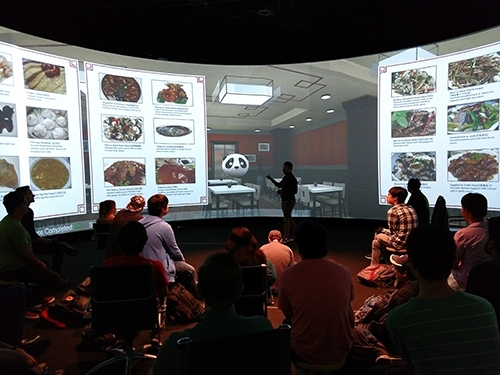 Instead of reading a textbook and practicing in a boring old classroom, the VR room transports students into places like Chinese restaurants, parks, and stores where students can speak the language in a ‘real’ environment. Mandarin is one of the most difficult languages to learn and even if the students feel comfortable in a normal classroom, speaking it in the real world can be quite overwhelming. The project hopes that by immersing students into the culture and ‘real’ world situations it will enhance their learning and make them more comfortable speaking the language. Students practice in a series of mini-games where they talk to AI fueled avatars, such as the waiters and salesmen, and perform tasks like ordering food and purchasing products. Using IBM’s Watson speech recognition and natural language interpretation, the avatars understand what the students say and can interact with them. The room is equipped with cameras, speakers, Kinect devices, and microphones so students can ask specific questions and even inquire about objects in the room. For instance, if they are in a ‘virtual’ market, they can ask about a piece of fruit and receive a proper answer. The microphones will also pick up nuances of the language to make sure students are correctly pronouncing words and phrases. While the program is being tested in RPI’s Chinese language classes, IBM hopes to go beyond the classroom into places like boardrooms where it can help immerse people into critical decision-making environments. Something like this could be invaluable in training employees and gauging their reactions in real world environments and real-time situations. 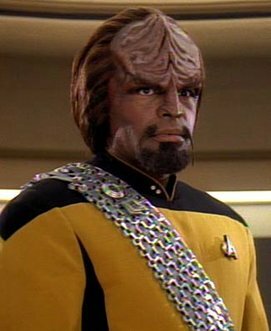 An IBM employee going only by the name of Worf, refused to comment if the company was also working on a warp drive. Could Robot Bees Help Pollinate Crops if the Real Ones Disappear?